Rent Quip is a locally, minority owned business that has served this area for over 17 years. We have over 30 years experience in the rental industry. Our goal is to exceed your rental expectations. 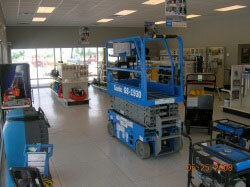 We provide industrial, contractor, homeowner, and party equipment. We also have the ability and flexibility to find those hard-to-find items for our industrial and contractor customers.